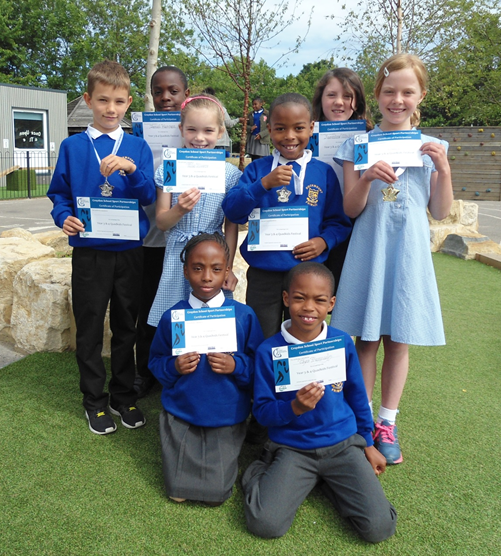 Congratulations to the 8 children who proudly represented our school at the year 3 and 4 Quadkids Festival held at Norbury Manor Primary School on Friday 12th June 2015. The children competed in the Standing Jump, Javelin, 250 meters, 50 Sprint and Relay. Our kids displayed great commitment and tried their best in every event. In the end we were able to walk away with gold and silver medals! Each participant was also presented with a certificate.